TribeVest is an online marketplace group savings platform that is changing how we fund aspirational goals by simplifying the group forming process to the point of fun, easy, and social. By utilizing algorithms based on 29-points of compatibility, TribeVest qualifies, aligns, and is the 3rd party platform providing non-bias analysis and confidence to form goal-aligned groups. The TribeAlign algorithm doesn’t just qualify prospective group members but can match people to other goal-aligned investors and groups. At its core, TribeVest is a people alignment company that is dedicated to providing innovative tools & proven pathways to each group's unique goals. Through AI - Human in the Loop technology, TribeVest is with each group every step providing predictive services throughout the group's multi-year journey. On average, each group entity is funding $2,000 per month ($24,000/yr) with a 4-year $96,000 contract toward their unique goal. TribeVest is an award-winning company and has been featured in publications such as Columbus CEO Magazine. TribeVest won the 2018 TechStar’s Columbus Pitch Competition with an award of $25,000 and was awarded HubSpot's 2018 Startup Scholarship. 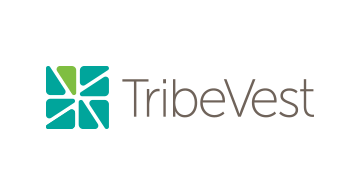 Earlier this year, VentureOhio added TribeVest to their prestigious list of “startup to watch” in Ohio. And Money 20/20 announced TribeVest as “one of the brightest startups” and was selected into their 2018 Money 20/20 Startup Academy.